This article is about drum acoustic measurement experiment using our sound absorbing panel “SHIZUKA Stillness Panel“. 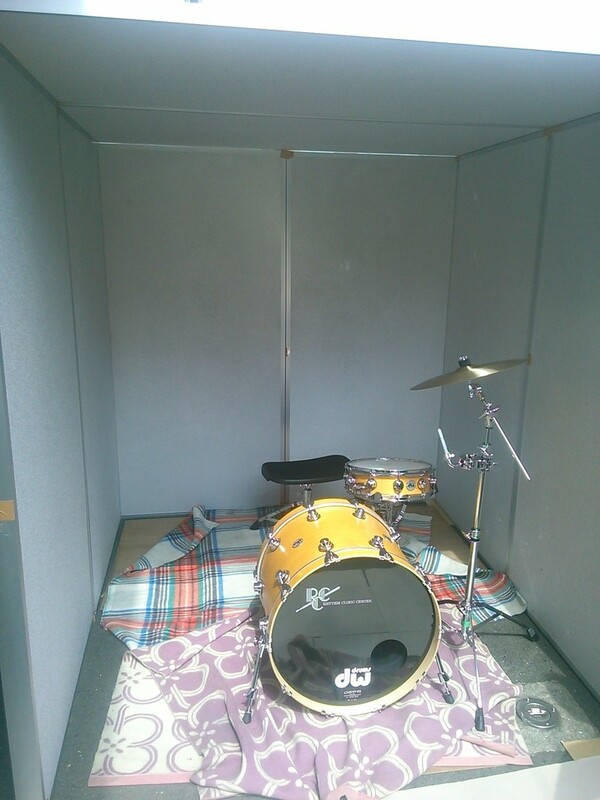 This time, we used “SHIZUKA Stillness Panel” for sound insulation experiments of drum sounds. We would like to also post the measurement results. We used a 33 mm type panel and a custom 66 mm type panel. Measure in a state where there is no panel at 1 m point and a certain state. The results are as follows. Depending on the combination, the drums are generating bass to treble. Although there are large variations, the sound pressure level drops on average after the installation of the panel. Since the drum’s maximum volume is 101 db and the maximum volume in the panel is 77 db, you can see that it is reducing about 25 db. When we performed experiments with Wadaiko (japanese traditional drums) at the last time, we got similar impressions from the player. It seems to be very dead inside (there is no reverberation) inside the panel. For players it may be difficult to play, but the sound absorption effect seems to be very high. Also, internal reflection can be adjusted by installing a reflector. We would like to take advantage of a lot of opinions and apply it to product development.